NASHVILLE: The Sikorsky-Boeing SB>1 Defiant has finished its first two flight tests and will do a third next week, Sikorsky test pilot Bill Fell told reporters here. That totals a little over an hour of flight time, reaching an altitude of 30 feet and speed of about 10 knots (11.5 mph) — not yet the stuff of aviation legend. In fact, Defiant is well behind Bell’s rival V-280 Valor, which has surpassed over 100 flight hours and 300 knots (345 mph) in over a year of testing to date. Defiant will need about 115 hours of flight test over about 12 months, the companies say. That means it won’t be done when the current Joint Multi-Role Tech Demonstrator (JMR TD) program ends in September, acknowledged Boeing senior program manager Ken Eland, but the Army and the companies have come up with the funding to finish in the next fiscal year. But the Army doesn’t need all that data to move ahead. How’s that possible? Because that next step is not deciding whether to buy the Sikorsky-Boeing Defiant or Bell’s Valor. 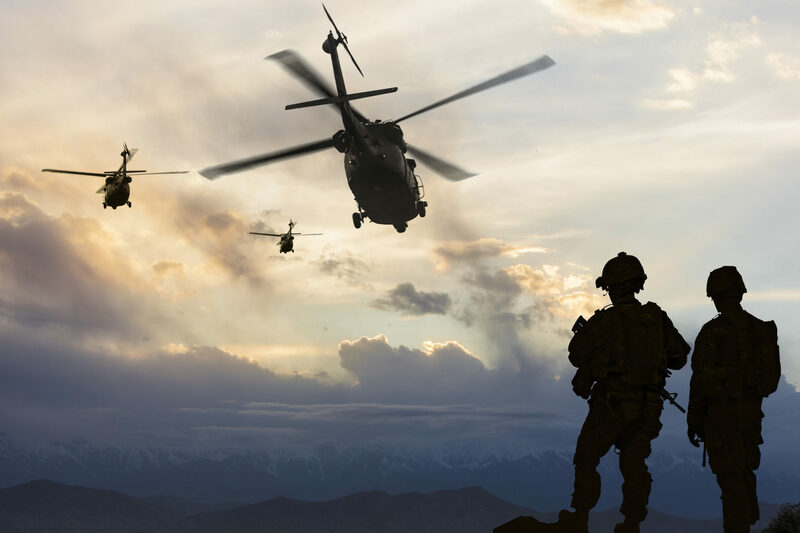 To the contrary, the Army wants to open up the competition and let other companies at least offer proposals before it decides what to build for its Future Long-Range Assault Aircraft to replace the UH-60 Black Hawk. That gives Sikorsky and Boeing plenty of time to prove Defiant can meet the military’s needs — or redesign it to meet them. Sure, Sikorsky and Boeing are about a year behind Bell, but they’re years ahead of all the other competitors who haven’t even built a prototype aircraft yet. The Army, Marines, and Special Operations Command have just released a formal Request For Information (RFI) that asks all interested parties what they might be able to build. All the responses to the RFI will inform how the Army writes the official requirement for FLRAA. The RFI tentatively places contract award no later than the Sept. 30, 2021 (the end of the federal fiscal year). That would be followed by preliminary design review in early 2023 — which is probably the point at which Sikorsky and Boeing would really need all their data from Defiant in hand, so they can refine their design and submit it to the government. First flight would follow in 2024. That timeline keeps getting tighter. Originally, the overarching Future Vertical Lift (FVL) family of aircraft, of which FLRAA is just the mid-sized model, was going to enter service at some nebulous point in the 2030s. As the Army got serious about FLRAA, it started talking about completing Engineering Manufacturing Development (EMD) and starting Low-Rate Initial Production (LRIP) in 2030. The current RFI, however, says the aircraft should actually in be service by 2030. There’s even talk of moving that First Unit Equipped (FUE) date up to 2028, said Boeing’s Eland. But the dates of the initial contract award and flight testing would stay the same. Hold on, I asked Eland after the briefing. How can you start testing at the same time and deliver two years earlier? There are ways to streamline the Pentagon’s often laborious testing process, he told me. For example, you can rely more on modeling and simulation — which does keep getting better, although it’s still no substitute for flight tests — or do multiple tests in parallel rather than one after another. This might require delivering more aircraft for test so you have enough to do multiple tests simultaneously, he acknowledged. One big issue that Defiant will have to deal with: It’s going to be slower than the V-280 Valor. With the pusher propeller turned on — something the prototype hasn’t done yet — it should be able to cruise at 260 knots (299 mph). But the V-280 has already exceeded its intended cruise speed of 280 knots (322 mph) and gone as fast as 300 knots (345 mph). What’s more, one of the few surprises in the recent RFI that the Army now wants a higher speed for FLRAA: at least 250 knots — which Defiant should handily exceeed — but preferably 280 — too fast for Defiant but right where Valor lives. The Marines actually want even greater cruise speed in any variant of FLRAA they buy: at least 275 knots — which Defiant can’t do — and preferably 295. Of course, it’s entirely possible that the Army and even the Marines may look at the responses they get back from industry and decide such high speed isn’t practical or affordable. The Army’s already dialed back requirements for its Bradley armored vehicle replacement based on industry feedback, so there is recent precedent. But what if the Army really wants Defiant to go faster? “It’s all how much horsepower you want to push through that pusher prop in the back,” Fell said. Horsepower in turn depends on available engines, he said. (The Army’s interested in using the same GE Improved Turbine Engine on both future and current aircraft). But there are tradeoffs, he warned: As speed increases, so does drag, which reduces efficiency, which burns fuel faster, which reduces range. “How large of an aircraft do you want?” Eland added. If you put in a lot more engine, you need a larger transmission and a larger airframe to accommodate it. (Which of course increases weight, which increases your fuel consumption again, only you now have more room for fuel tanks, but actually filling them increases your weight again, which means you need more fuel….). Or you can enlarge the engine without enlarging the aircraft by reducing the payload, said Randy Rotte, Boeing’s director of global sales and marketing for FVL. It’s worth noting that while the Army wants 12 troops in back, the Marines are okay with 10 if they get their higher speed. next Okinawa has been eager to expel U.S. troops. A murder-suicide is pouring fuel on those flames.